The Enfield Rotary Memorial Scholarship Foundation awarded $12,750 to 12 students from Enfield who will be entering their junior, senior or post graduate years of college this fall. The scholarships were presented at a luncheon meeting of the Enfield Rotary Club on August 16th. This year’s scholarship recipients include (seated l-r) Amanda Balesano, senior at Sacred Heart University - Chemistry; Kevin Broems, post graduate at UCONN - Physician Assistant; Lauren Attenello, senior at Goodwin College - Human Service; Jason Menaker, senior at Westfield State University - Criminal Justice; and Evan Leslie, junior at Elms College - Nursing. (Standing l-r) Jie Zou, senior at Asnuntuck Community College - Nursing; Jacob Mikullitz, senior at UCONN - Ecology and Evolutionary Biology; Rachel Kaliff, post graduate at Springfield College - Athletic Training; and Kelly Ledoux, junior at University of Hartford - Psychology. They are joined by Scholarship Foundation President Lindsey Weber and Secretary Kevin Mayo. Missing from photo: Anthony Deni, junior at Coastal Carolina Univeristy - Finance; Megan Phillips, junior at Westfield State University - Nursing; and Shannon Connery, junior at University of New Haven - Criminal Justice. 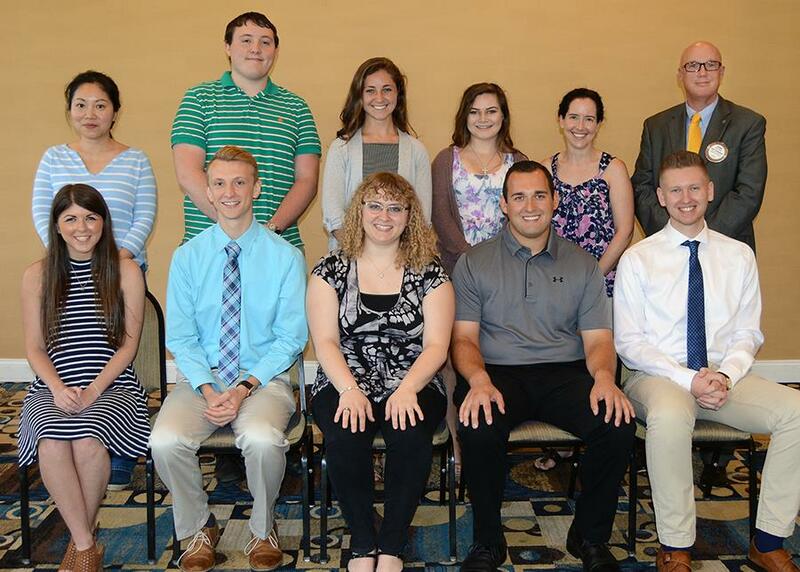 The Enfield Rotary Club has awarded more than $300,000 in scholarships to students from Enfield since 1956. The club will be observing its 90th Anniversary in May 2018.